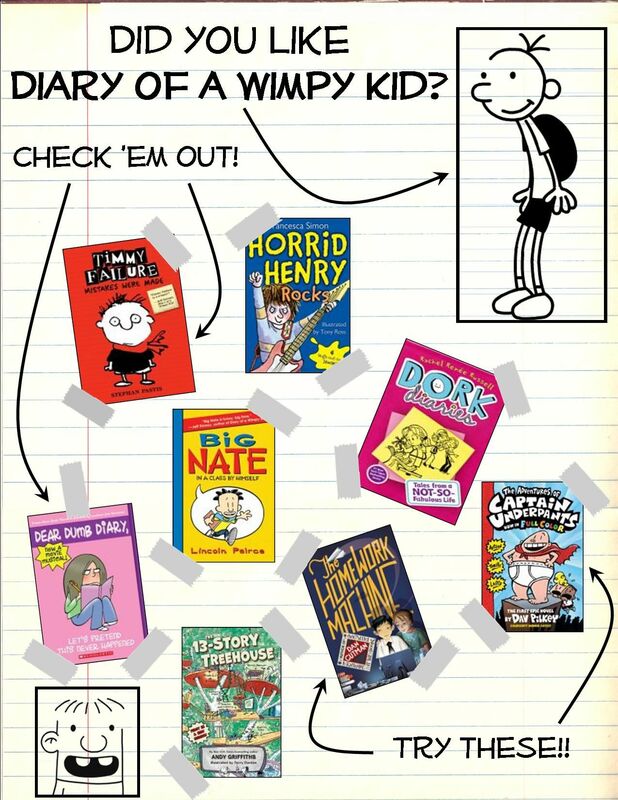 Everyone knows that if you place a Diary of a Wimpy Kid book in the hands of a bookhater, he/she will no longer hate all books. They will have magically fallen in love with this hilarious series and devour every book multiple times. As a reading specialist, I love that kids are reading these books and loving them. But once a 5th grader has read the same book 500 times, we hope that there is another book out there that they can learn to love too. It will be tough to compete with Jeff Kinney, but the least we can do is search for and find other books and then recommend them to some unsuspecting bookhater. 1. Scour the web for other people's recommendations. 2. Compile list on blog post. 3. Create bulletin board at school. 4. Help kids locate these books. 5. Hope kids find additional new favorites. 6. Create and practice secret evil laugh for moment when another bookhater turns into a reader: Waa Haa Haa!!! Fabulous list of books to read for kids and me :) Thank you, Mandy!